It’s the first week back at work for most of us, and the ardour behind those New Year resolutions is beginning to fade. The indulgence of the festive season may have prompted, as it usually does, a revival in the desire to eat healthily, but it can be difficult to maintain these good intentions if it doesn’t always feel like the easier option. To help you see how easy it can be, we’ve compiled this basic guide on how and where to source the best fresh organic produce, so that you can enjoy eating well! – Overall Look: avoid any fruit or veg that looks damaged or bruised. For example, when choosing potatoes, discard any that show green patches, as this is a sign that they have been stored in light and could be toxic. Avoid leaf vegetables if they look limp or have yellow leaves – the best will have fresh, bright and crisp leaves. – Colour: this is a great indicator of ripeness – bright colour suggests the item has been grown well and is full of nutrients. – Weight: heavy is good, as it suggests the insides are full and juicy. – Firmness: go for fruit or veg that is consistently firm throughout, rather than too hard or soft (which suggests it is either not yet ripe or past its best, respectively). – Smell: this is a good test for fruit especially, with the ripe, ready-to-eat produce usually having the most overwhelming scent. The easiest way to ensure you’re picking the better option is to compare to others that are on offer – for example, gently weighing items that are similar sizes will help you determine which is the best choice. As fresh foods lose their nutritional value over time, only buy as much as you need for a few days, and store them in the fridge as soon as possible. A good way to keep your meals varied and to avoid wasting food is to use leftover vegetables in different ways: steaming, roasting, grilling etc. It’s no wonder that farmers’ markets continue to be popular – they guarantee fresh, organic produce and are a great local alternative if growing your own isn’t an option. Another advantage of these markets is that there are willing people on hand to ask if you want any further advice on selecting the best ingredients – expert recommendation on creating the tastiest healthy dishes! There are a number of healthy foods markets across the UK this new year. The all-year round London Farmers’ Markets appear once a week in a variety of places in the capital, with popular ones including Brixton and Marylebone (find your local one here). There’s also a large selection of more general food markets in London, including the quality food found at the beloved Borough market, and the well-respected Brockley weekly food market in Southeast London. Further afield there’s Birmingham’s Moseley Farmers’ Market, which has twice won the ‘UK Farmers’ Market of the Year’ by The National Farmers’ Retail and Markets’ Association. 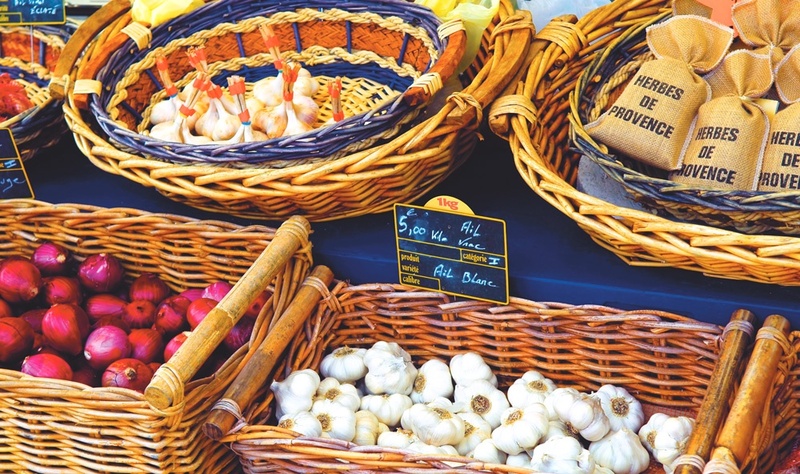 There’s also the renowned Saturday Edinburgh Farmers’ Market, where you can find all your basic ingredients from specialist producers and observe a range of cooking demonstrations. Other frequently spotlighted markets across the country include the RCMA Farmers’ Markets in Cardiff, Canterbury’s permanent Farmer’s Market and Food Hall, and the family-run business Global Organic Markets, whose awarded Shambles Market at Stroud, Gloucestershire, takes place every Friday and Saturday. In the North West, Bolton Market is generally regarded as the best in the area for fresh produce, having won multiple awards including ‘Market Innovation of the Year 2015’ and BBC Radio 4’s Food and Farming 2011 ‘Best Food Market’. In reality there are a staggering number of places to source local fruit, vegetables, fish and meat all over the country, so it really is extremely easy to sample the benefits and regularly use high-quality, fresh ingredients for your meals. You can use your postcode to search for what your area offers in this directory, which includes a calendar of farmers' markets, as well as a map and details on farmers’ markets, farm shops and ‘Pick Your Own’ locations. Here at Flame Tree we know how important a varied diet is, that's why we provide a wide range of titles that fit any particular need. From healthy eating to delicate cake construction, we've got you covered. 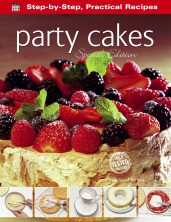 If you'd like to take a peek at the range of cookery books we offer, just click here.